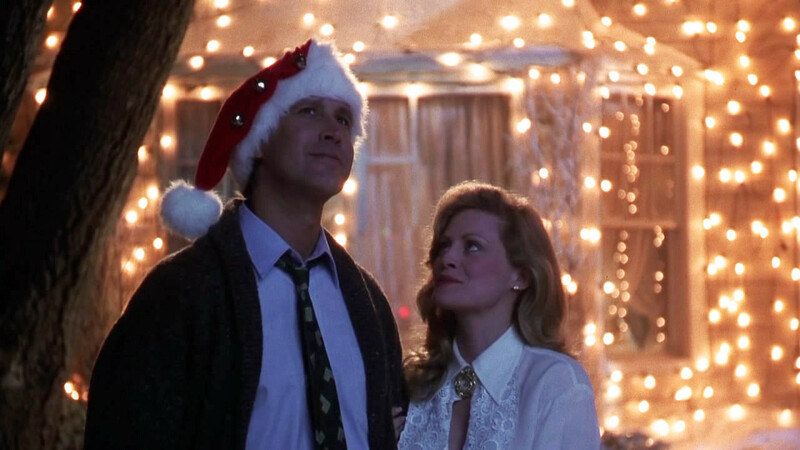 In National Lampoon’s Christmas Vacation, Clark Griswold is determined to host the perfect family Christmas. At first Clark is full of optimism and festive cheer. But one disaster after another wears him down until his Christmas spirit is broken. How many of us put unreasonable expectations upon our Christmas holiday and turn bitter when disappointment hits? Clark’s first big setback comes with the Christmas lights. 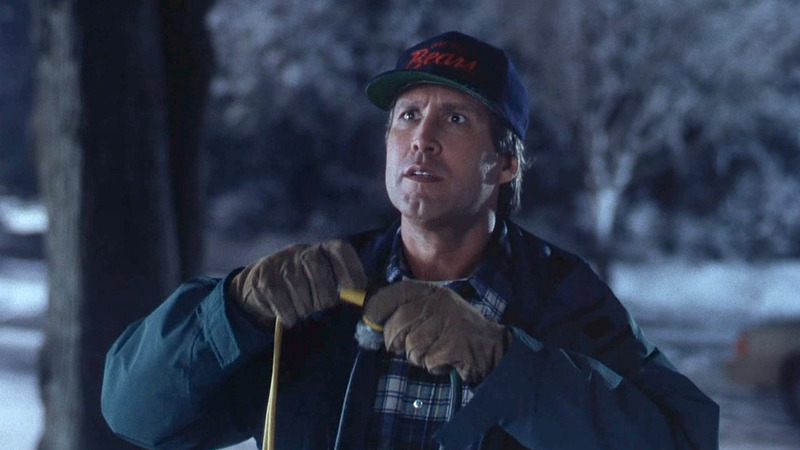 He and his son Rusty spend all day hanging lights on their house, but when it comes time to turn them on, something’s wrong. Clark begins to doubt himself. 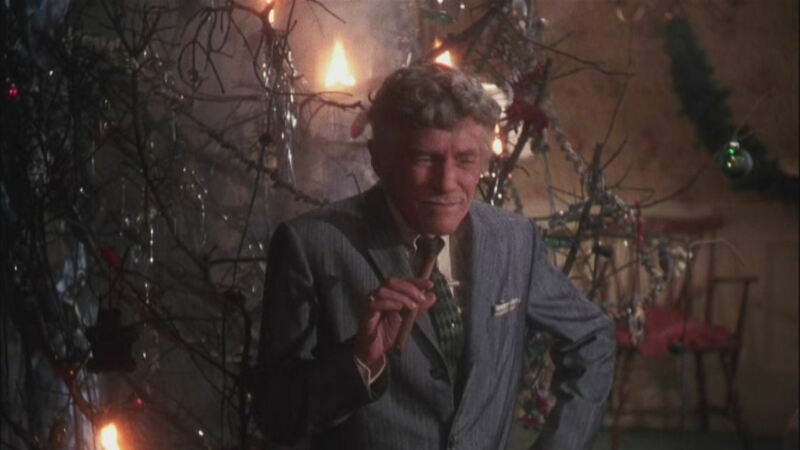 It gets worse for Clark when his enormous tree, hard won and self-chopped in the snowy wilds, is burnt to cinders by oblivious cigar maniac Uncle Lewis. 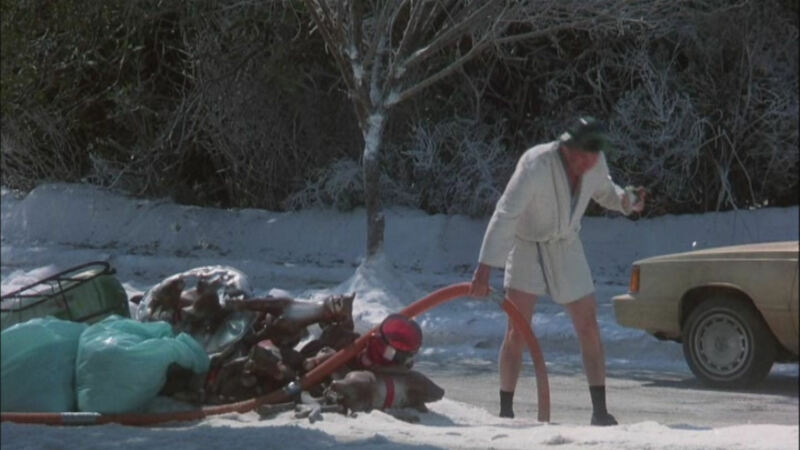 Clark is driven to the brink of madness when the incorrigible Eddie and his horde arrive, pumping the contents of their motorhome’s chemical toilet into the Griswold’s septic tank. Clark feels like his plans for a perfect Christmas have come to nought. Clark wanted the best Christmas lights on his street, but they wouldn’t turn on. Clark wanted the most impressive tree, but it burnt down. Clark wanted the family to come together like in a stock photo or a Christmas cover of the Radio Times, but they were divided by petty squabbles. Feeling hopeless, he fantasises about a better Christmas – one without his family. 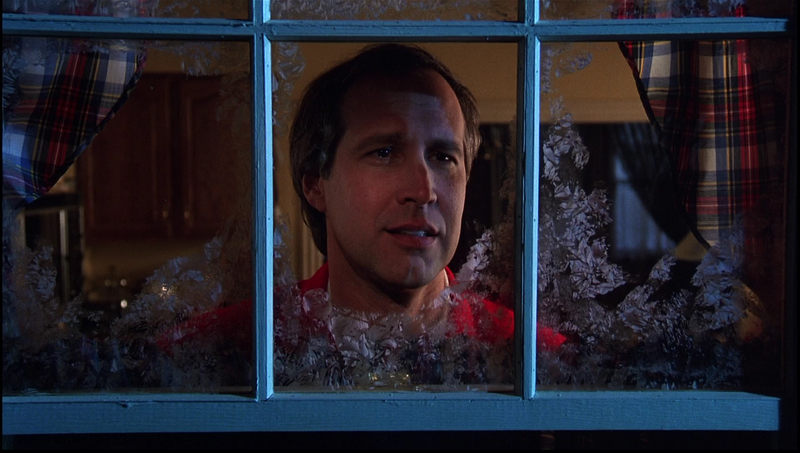 I can sympathise with Clark Griswold. This year was the first year when I was going to host Christmas in my home, with the rest of my family coming to stay with me. My wife and I had planned a “perfect” Christmas: decorations, food and presents galore. But shortly before Christmas our bathroom required urgent repairs. It was torn apart and only half rebuilt before Christmas came along. Our home looks ugly and has a bathroom that only half works. We have had to put up the rest of my family in a nearby flat just so that they can have a fully functioning bathroom. When I found out that the work on our bathroom wouldn’t be finished before Christmas, I was livid. I felt like Christmas had been ruined because our “perfect” plans wouldn’t work out. And then I remembered Clark Griswold. He was furious when he saw his plans crumbling in front of him, but through his trials he came to realise that a “perfect” Christmas isn’t real. He couldn’t make Christmas work just by having the best lights, tree, turkey and presents. Clark learnt to enjoy what he did have at Christmas time: a loving wife and a family who ultimately support him. I was also reminded by a friend that the very first Christmas was hardly “perfect”. Mary and Joseph had expected to find room at an inn, but were moved to a dirty stable. Jesus was born into a world that didn’t know or understand him. But it was nevertheless the moment when light came into a dark world, and so many of us around the world have celebrated the occasion ever since. So my family are here, the bathroom is still in disrepair, but it doesn’t matter because Christmas isn’t all about me. It’s more than that, and it’s something my little plans could never improve upon. Christ was born in a manger, not a stable. Mangers are where animals are fed. Mangers are kept very clean by the shepherd so his animals will be healthy. The local Inn (both then and now) would literally have exposed both Mary and Jesus to a zoo of human microbial pathogens. We all should count our blessings… and know that many of those blessings are hidden from view.